Link Global Management can provide a full range of payroll services in Cameroon. The individual will be engaged on our payroll and income is paid in the form of salary, allowances and expenses, the proportion of each part depending on individual circumstances. Link Global Management will discuss your personal circumstances with you and help you to minimise your tax and social security liabilities, within the boundaries of Cameroon legislation. Income is managed tax efficiently, not just in Cameroon but also in any other country where there may be a liability. A tax return is filed each year in Cameroon with advice and assistance from Link Global Management who will also provide help with filing tax returns elsewhere, if required. Non-resident individuals normally are taxed on Cameroon-source income only; tax is generally withheld from payments. The applicable rates depend on the nature of the payments. Employment income and income from commercial activities carried out in Cameroon are subject to ordinary rates of personal income tax. Dividends, interest and director's fees are subject to a tax rate of 16.5% (includes 10% surtax). Special income, such as royalties and fees for technical services and professional activities is subject to Special Income Tax (TSR) at 15%. Individuals who have their tax domicile located in Cameroon are subject to personal income tax on their worldwide income. Persons who have their tax domicile located outside Cameroon are subject to personal income tax only on their income derived from Cameroon. 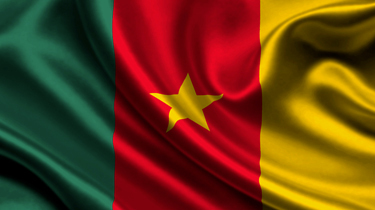 Cameroonian and foreign nationals who earn income or profits taxable in Cameroon under the terms of an international convention to avoid double taxation are also subject to personal income tax, regard less of whether their tax domicile is located in Cameroon.